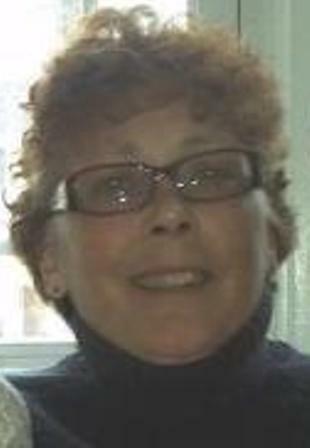 Sherrie Geddes, age 56, of Bone Run Road, South Valley, New York died unexpectedly at her home on Tuesday morning, October 22, 2013. Born on April 16, 1957 in Bradford, PA she was the daughter of Martha Walter Pieklo and the late John McLaughlin. She was married in Niagara Falls, New York on March 4, 1989 to Mr. James Geddes who survives. Mrs. Geddes had formerly been employed by the United States Post Office at the West Side Station in Buffalo, New York for over seven years, retiring due to illness in 2002. She was a member of the National Association of Letter Carriers. She enjoyed bingo and shopping. She also enjoyed spending time with her family, especially her grandchildren. She also enjoyed taking care of her dogs. Surviving besides her husband and mother are: 1 daughter, Fawn (David) Schmidt, Buffalo, New York; 3 sons, David (Sheri) Bova, Jon (Jennifer) Bova, Robert Geddes, all of Buffalo, New York; 4 granddaughters, Ella Schmidt, Hannah Schmidt, Briana Geddes, and Sofia Bova; 4 grandsons, Alex Bova, Aidan Bova, Nathaniel Bova, and Bryan Geddes; 3 sisters, Terrie (Bill) Frazier, Salamanca, New York, Cathy Skiver, Allegany, New York, Tammy (Jon) Lichy, Salamanca, New York; 1 brother, John (Jody) McLaughlin, Bolivar, New York; several nieces and nephews. She was predeceased by one sister, Toni McLaughlin. Memorial visitation will be held on Sunday, October 27, 2013 at the O'Rourke & O'Rourke Inc. Funeral Home, 25 River Street, Salamanca, New York from 11:30 a.m. â€“ 12:30 p.m. at which time a memorial service will be held with Pastor Tom Broad of the Grace Episcopal Church, Randolph, New York.